Is your family complete? 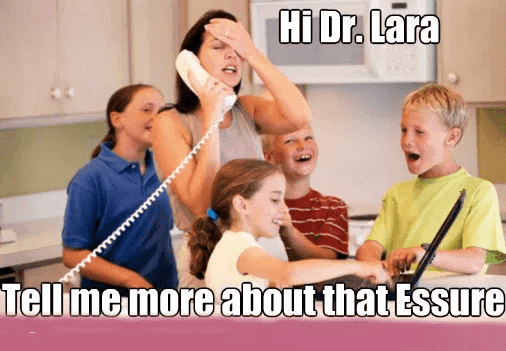 Ask Dr. Lara about the pros and cons of essure. Dr. Adrienne Lara performs the Essure procedure, which is surgery-free permanent birth control to help you live without the worry of an unplanned pregnancy. Oxnard Ob/Gyn Celebrating Women Center says “It’s a quick 10-minute procedure that can be performed right in our center. You can be dancing by the next night”. The inserts are soft, flexible and hormone-free, and when placed in your fallopian tubes, they work with your body to form a natural barrier that permanently prevents pregnancy. The procedure is 99.83% effective** and a confirmation test is given three months after the procedure to verify that the tubes are completely blocked, providing permanent birth control. You have only one fallopian tube. You have one or both fallopian tubes closed or obstructed. You have had your “tubes tied” (tubal ligation). You are allergic to contrast dye used during x-ray exams. You are unwilling to undergo the Essure Confirmation Test. You are uncertain about ending your fertility. You are pregnant or suspect pregnancy. You are or have been pregnant within the past 6 weeks. You have had a recent pelvic infection. You are in the second half (weeks 3 and 4) of your menstrual cycle. During that time, there is an increased risk of being pregnant prior to having the Essure procedure. You are taking or receiving therapy that suppresses your immune system. Examples include chemotherapy or corticosteroids, such as prednisone. Therapy that suppresses the immune system may make the Essure procedure less effective for birth control.